This is Paxton! He is a spunky 6 year old who loves to eat, play, and giggle at Dad! He likes school and traveling. He will melt your heart with his smile and hugs. Paxton was born with a brain abnormality that caused catastrophic epilepsy. He had a radical brain surgery when he was 17 months old that disconnected the left side of his brain. The surgery gave him the opportunity to begin learning new things but he is still developmentally delayed and has physical limitations. 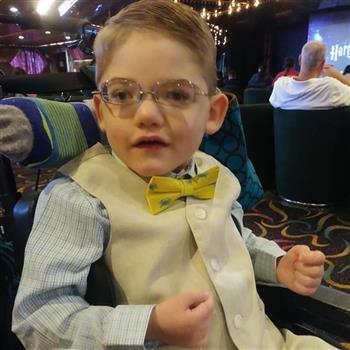 He currently receives therapy in school and privately so that he can have as much independence as possible. 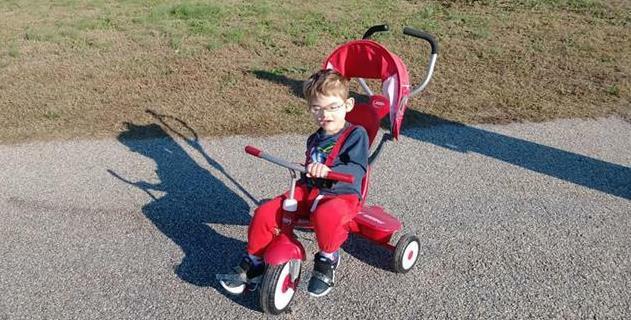 Paxton is not a fan of being confined to his wheelchair and he loves to be in motion. Like any child, we love to give him play opportunities inside and outside. 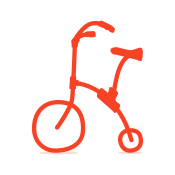 A bike would allow him to play like any typical kid but also gives him much needed physical therapy. The motion of moving his legs and hips forward may one day help him walk! Please vote for Paxton! Paxton is working on weight bearing and reciprocal leg movements. He loves being outdoors and movement. For the last few years we have been using a toddler tricycle with velco foot straps. He really enjoys getting out and peddling around. The big bike that we are trying to win works in similar way and he will be able to use it for years! Go Paxton! You are a rock star at SWA! Here's to a new set of wheels, buddy! With LUV. Let's keep you moving my friend! Go Paxton!!!! You will reach your goal!!!! Hoping this helps to get your bike! From a fellow SWA family member. Let's get Paxton this bike!! All the best for Paxton from his SWA family.